Top European investors Atomico and Index Ventures have separately made bets on two US electric scooter startups, hoping to win big on the buzzy trend before it takes off globally. Atomico has invested an undisclosed amount in Lime, while Index Ventures led Bird's $100 million Series B round earlier this year. Bird and Lime are both headquartered in California and may be worth a collective $3 billion. Bird is reportedly seeking a $2 billion valuation for its latest funding round, while Lime is worth $1 billion after raising millions of dollars in funding. The two companies are both planning on a European expansion, with Lime launching in Paris in June, and Bird hiring executives in Europe ahead of a launch. Both firms offer hundreds of electric scooters for hire in US cities that you can pick up and leave anywhere. 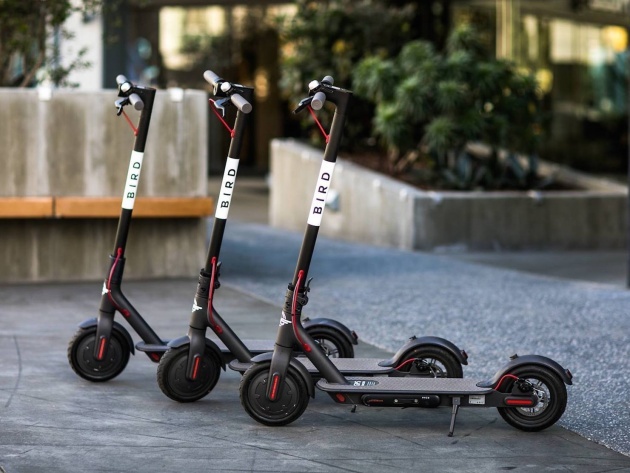 You can read a full breakdown of what it's like to hire a Bird scooter here, but the idea is that you locate a scooter, "unlock" it using an app and your login details, and then pay 15 cents per minute to ride it around.